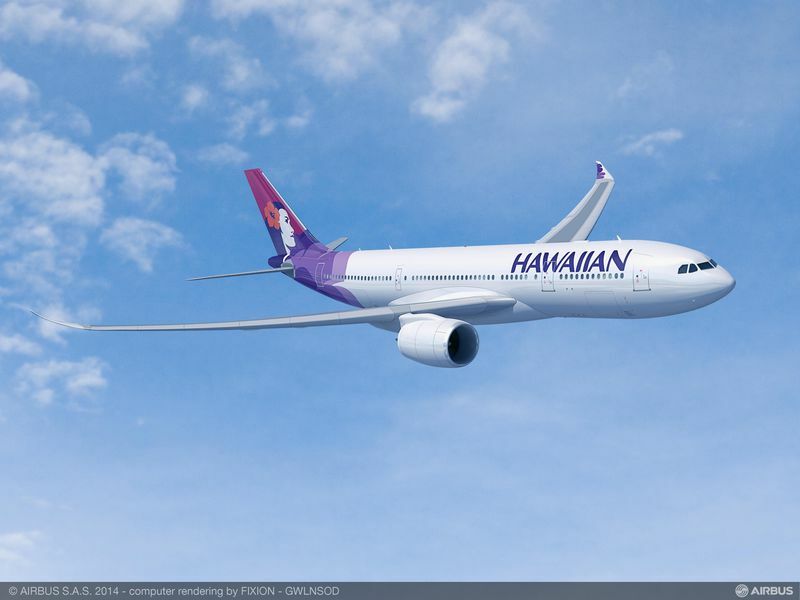 Hawaiian Airlines has signed a Memorandum of Understanding (MOU) with Airbus for six A330-800neo aircraft. The agreement adds yet another name to the growing list of launch customers for the new aircraft type. The new commitment replaces a previous order placed by Hawaiian for six A350-800s. The A330-800neo and the A330-900neo are two new members of the Airbus Widebody Family launched last week at the Farnborough Air Show. First deliveries are scheduled to start in Q4 2017. The A330neo incorporates latest-generation Rolls-Royce Trent 7000 engines, aerodynamic enhancements and new cabin features. Benefitting from the unbeatable economics, versatility and high reliability of the A330, the A330neo reduced fuel consumption by 14 percent per seat, making it the most cost-efficient, medium-range Widebody aircraft on the market. In addition to greater fuel savings, A330neo operators will also benefit from a range increase of up to 400 nautical miles and of course all the operational commonality advantages of the Airbus Family.